What were the driving factors behind the reduced emissions of key pollutants from large combustion plants (LCPs)? Between 2004-2015, the emissions of four key pollutants originating from large combustion plants (LCPs) in the EU have reduced. These reductions were driven by a range of different factors. This study carried out a decomposition analysis, which allowed to decompose the contributions from a range of chosen factors. For this analysis the emission changes were decomposed into drivers including: economic growth, changes in economic structure, electrification, changes in the energy mix and changes in emission factors. The study analysed the emission trends of four key pollutants: SO2, NOx, dust and CO2. As a decomposition analysis allows to isolate the impact of different factors, this helps to uncover which changes could have been influenced by legislation versus other causes. 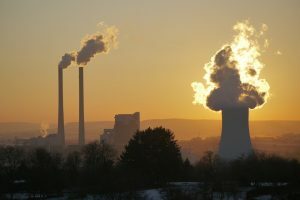 An underlying question for the EEA was to which extent the LCP Directive and the emission limit values therein have contributed to the changes in LCP emissions in the investigated time window. The decomposition analysis used the ‘additive LMDI method’, which was also converted into its multiplicative counterpart. The project was led by Aether and Trinomics supported, both with the initial set-up of the methodology and the required Excel sheets for the decomposition calculations, as well as quality insurance. An EU-level macro analysis which considered all LCPs, the sub-set of electricity-generating LCPs and considered patterns by pollutant and between countries. A micro-level analysis considering patterns for individual LCPs. The overarching purpose of the study was to develop a sound methodology for decomposition analyses of LCPs, therefore facilitating capacity building on the subject. The results will be further used in future EEA studies.